Your overall body strength depends on your core. Make core training an essential part of your workouts at your gym in Greensboro NC. Going to a world-class gym, such as in Greensboro, ideally, should not be just about building huge muscles. One should aim to train like an athlete for sustainable muscle development. In order to train like an athlete, you need to be robust like one. Unlike traditional bodybuilders, an athlete conditions and trains his whole body at the gym to be both buffed and strong. Your body’s strength is heavily based on your core. The core is a part of the body which connects your upper and lower body. More than 90% of the exercises that are performed at the gym are dependent on the strength of the core alongside the specific muscle targeted. You can condition your core through a variety of exercises and routines. Among these routines, one of the most effective is Pilates. Pilates was designed by Joseph Pilates in the 20th century and has grown very popular as a means of core strengthening in the past few years. 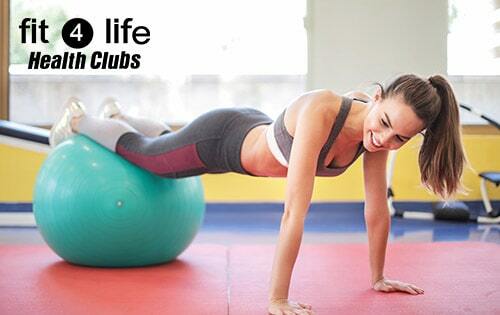 The Fit4Life Health Clubs one of the best gyms in Greensboro, NC now offers Pilates classes to their members as a part of their overall fitness programs. In every Pilates exercise you activate your core muscles, even in the pre and post-Pilates stretches. Pilates movements either primarily focuses on the core, or use it in one way or the other to activate it. It is important to create a good mix of movements to make sure you are not overdoing or under-doing your core because any one of these two are not ideal scenarios. Most people perform sit-ups and other such movements thinking that they are activating their core, when in fact this is not the case. These exercises only work the outer layer of our abdominal muscles and hip flexors. The actual core muscles are located much deeper and that is where the effects of Pilates movements are really felt. These movements target both the outer and the deeper layers making Pilates the better option for core strengthening. Pilates exercises are not restricted to only advanced level athletes or young people. The plans are developed by fitness trainers such that people up to ages 60 can practice it. The focus in Pilates is not on the number of reps you can perform but on the quality of those reps. There is virtually no way that you might start finding Pilates easy at some point. There are techniques that will help you alleviate the game a level. Having a flat tummy is the fitness goal for a large number of people going to the gym and Pilates certainly is one of the most effective ways of achieving it. But it isn’t limited to just that. With Pilates you not only tone the shape of your body but can correct your posture. Bad posture is the reason behind many people’s chronic back and shoulder pains. There are even ways in which you can use Pilates to ease rheumatoid arthritis pain. With Pilates, you can release that pain and make doing daily tasks and performing exercises at the gym easy, again.